We offer a variety of services to fit your health care needs. At Dr. Lichter and Associates we care about your overall wellness, which is why we offer a variety of services to customize care plans that fit your individual health needs. Contact us today learn how we can help you. This centuries-old procedure is used when health problems seem to occur due to a disruptions to the meridians or energy pathways in your body. 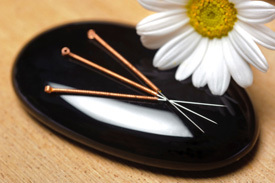 Acupuncture can help a wide range of health conditions. We have seen great success with acupuncture for conditions such as insomnia, headaches and anxiety. Massage therapy addresses both the joints and muscles of your body to provide a more thorough healing. We will help you determine the massage treatment that is best for you on your journey to wellness. Spinal decompression therapy helps alleviate the pressure on your nerves to help you find relief from your pain. It is a non-invasive and comfortable treatment option.